Note: Old article, first published on November 9 2012 (before the release of Talaash), republished on 31st December 2014. A very popular saying goes like ‘Winners don’t do different things, they do things differently’. There are many who claim to be different but very few actually are. They don’t follow the conventional routine path rather discover their own way through immense self belief and confidence. When someone chooses a less trodden path pretending to be different, there is a very thin line between confidence and arrogance which should not be crossed and that is possible only with a highly secured and determined mindset. Slow And Steady: Away from the public eye for too long had always been considered negative in showbiz as it is equivalent to risking your stardom. When Aamir Khan made his debut in 1988, popular Bollywood stars used to work in multiple shifts and they had a major release every 2-3 months. Deciding to work on one movie at a time was a bold but equally determined step as his experience of working in multiple projects simultaneously wasn’t satisfying and fulfilling. Learning quickly from mistakes and rectifying them perfectly is the quality of a genius. Today, 15-20 years down the line, we see many actors following the same route. Do Awards Matter? Awards, apart from being a motivational factor, are recognition of one’s work. But as seen over the years, the list of winners decided by Jury cannot be justified completely. Aamir took yet another tough step to boycott all the award functions when all his counterparts considered them as a matter of pride and prestige. With each passing year we have seen that the standard and quality of all the Indian Movie Award functions is deteriorating and most of them seem to be pre-decided. Movies –Just Time Pass? Indian cinema is always meant for 3 things – Entertainment, Entertainment and Entertainment. Aamir has a firm belief that people who come to watch his movies for entertainment will also follow him on serious issues. And hence we have seen some cult, landmark and path breaking movies from him. Lagaan, Dil Chahta Hai, Rang De Basanti, Taare Zameen Par and 3 Idiots are treasures of today’s Cinema. For those who think he is too serious to do routine Bollywood romantic or action masala roles, should watch Fanaa and Ghajini. It seems the day is not far away when his name will have complete monopoly in the list of ‘Must Watch Indian Movies’. TV – An Idiot Box – Oh Really? Big B’s KBC started the trend of all big stars moving towards the small screen. Top stars can now be seen regularly on TV as either hosts or judges of time-pass entertainment shows based on games, reality, dance, stunts, cooking, or singing. Along with the massive visibility through sky-high TRPs, there is huge money to fill the pockets. Aamir realized the power and potential of television, undertook an extensive research with his creative team and presented Satyamev Jayate. The show had such a massive impact that Aamir was invited to address the Parliament. Such was his involvement with the show that he postponed the date of his upcoming release Talaash. Movie business has grown manifolds in the past few years and a good initial weekend almost guarantees a success today. As a result we have seen almost all the stars go all out to promote their movies. Aamir left no stone unturned in promoting Ghajini and 3 Idiots with his unique gimmicks. Promotion has become a key aspect of movie making now and with every big release, makers are coming up with a different marketing strategy. No wonder then that all eyes of trade are now on Aamir’s next release Talaash. The promos are very well chalked out and are slowly raising the curiosity around the flick. But strangely much to everyone’s surprise, this time Aamir has not resorted to the promotional blitzkrieg. Is he avoiding over expectations? Is he waiting for the Diwali releases? Is he relying on Word Of Mouth? Knowing Aamir Khan, the reason can be any of the above or something even weirder. Yet, he invariably ensures he is in the news before his movie’s release. Way to go Aamir Khan! Yeah.. Aamir is unique actor and known for his unique promotion of film.. But wat the hell he is doing with his upcoming movie ‘talaash’, there is no buzz around the film. This is not a good sign for the film and aamir too. 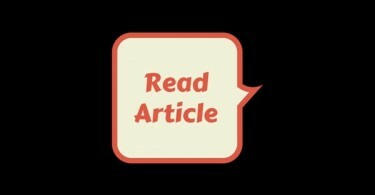 Excellent & quite fairr article! :) Aamir Khan is indeed different & does things his own way. The best thing is that he’s tasted success in whatever he’s attempted! A unique achievement! He is the one who brought back importance of content & good performances. Whether Talaash is promoted or not, it will become the TALK OF THE TOWN when it releases! A good product doesn’t need crazy promotions! People will rave about it & discuss it. Aamir Khan will be on everyone’s minds on his own merit whether he promotes his film or not is immaterial! Aamir is known for his unique promotion of films, but what the hell he is doing with his upcoming film ‘talaash’, there is no buzz around the film. This is not a good sign for the film and aamir khan too. God of Acting Aamir Khan . Mr. Perfectionist . Truely a living Legend . Huge -2 respect for him . I worship him . Really aamir is d best..
completely agree with the artcle. Mr.Aamir Khan is a trend-setter. He has never followed any trend. In 80s, when there were only action movies being made, Aamir made his debut in an epic romantic movie, QSQT & brought back the era of romance. In 90s he worked in movies of all genre & never restricted himself to a particular genre like most actors. In 2000s, he again did different movies with was kind of a risk at that time. but all succeeded at the box-office too. In 2008, he brought back the trend of action movies once again in hindi cinemas. He also produced cults like TZP, Peepli Live & JTYJN. so, when we look down at hindi movies after 20-25 years, atleast 10-12 of Aamir’s movies will be there which will be remembered as cult classics by everyone (like today we acknowledge movies like Pyaasa, Mughal-e-azam, Jaane bhi do yaaron, Anand, Mera Naam Joker etc), even by those who hate him today. with due respect to other actors, i would say that Aamir khan is the only star today who’s doing meaningful movies & not misusing his stardom. Though among the young stars, Ranbir is also on that path only. 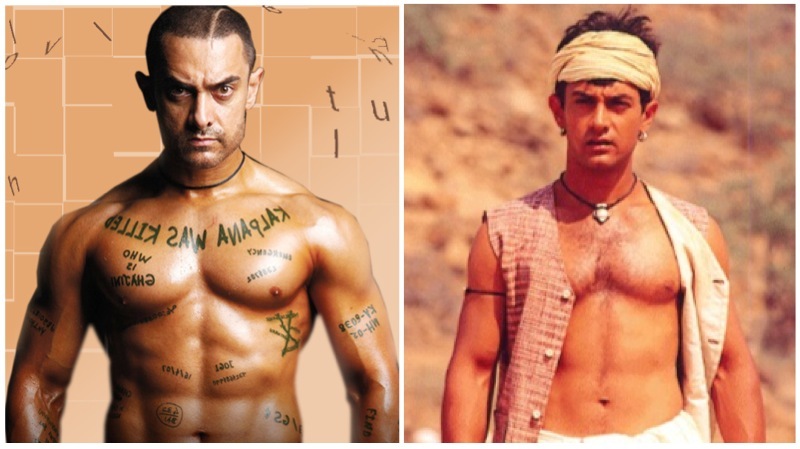 i think lagaan was a turning point in his career…from then he just made great movies…. @indicine the promotions have started today. He was at an Microsoft event at Gurgaon today. Talking about awards, Aamir was the first to not give any importance to them. Today many actors beleive the same. Salman Khan attends award shows but doesn’t accept awards. Ajay Devgn doesn’t attend award shows. Even the winners of the awards don’t feel that its an acheivement, except a few. aamir khan is truly the best actor in the bollywood that despite his 25 year career he is not being called as a action hero,romantic or other kind of specific zoner hero he is called mr. Perfectionist while his competitor being called by a specific zoner hero like Slaman for action and family darama, srk as romance king and akshay for comedy and action but he is best in all kind of zoner whether romantic in QSQT,Raja Hindustani and DIL, comedy for 3 idiots, AAA, Ishq,Rangeela etc and action like Ghulam,Ghajini he prove himself best and deliverd some gerat movies in last decade 6 out of nine amongst the best movies 3 idiots,RDB,DCH,Lagaan,TZP,Ghajini and he is founder of 100 crore and 200 crore club. one more trend which Aamir Khan started is giving importance & time to his looks. he started it with Dil Chahta Hai & continues it till today. Now almost all actors (even some not so big stars too) are doing the same. people have blind faith in aamir khans movies…..
Aamir khan – One of the best things ever happened to Cinema.